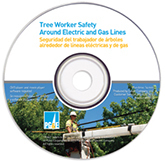 Help reduce the risk of contact with overhead and underground utility lines. Ayude a reducir el riesgo de contacto con instalaciones aéreas y subterráneas de servicios públicos. necesita.) * Quantity is required. First Name (Nombre) * Please enter your first name. Last Name (Apellido) * Please enter your last name. Title (Puesto) * Please enter your title. Company (Compañía) * Please enter your company name. (Dirección postal [Indique solo la dirección de calle. No indique un apartado de correo.]) Please enter your mailing address (street, no PO Boxes). Check if this is a home address. City (Ciudad) * Please enter your city. State (Estado) * --Select State--AlabamaAlaskaArizonaArkansasCaliforniaColoradoConnecticutDelawareFloridaGeorgiaHawaiiIdahoIllinoisIndianaIowaKansasKentuckyLouisianaMaineMarylandMassachusettsMichiganMinnesotaMississippiMissouriMontanaNebraskaNevadaNew HampshireNew JerseyNew MexicoNew YorkNorth CarolinaNorth DakotaOhioOklahomaOregonPennsylvaniaRhode IslandSouth CarolinaSouth DakotaTennesseeTexasUtahVermontVirginiaWashingtonWest VirginiaWisconsinWyoming--Select Canadaian province--AlbertaBritish ColumbiaNew BrunswickNova ScotiaOntarioQuebec Please select an item. Zip (Código Postal) * Please enter your zip code. (Número de teléfono) Please enter your phone number. Email (Correo electrónico) * Please enter your email address. 8. Is there another language that would be beneficial to have the materials in? 9. How much do you agree with each of the following statements? PG&E is committed to the safety of workers. The information PG&E provides is valuable for keeping workers safe around electric and natural gas lines. I expect PG&E to provide workers the information necessary to get their jobs done safely around electric and natural gas infrastructure. The workers at my company use the safety information to work more safely around electricity and natural gas. The worker materials provided by PG&E help me and/or my coworkers perform their jobs more safely.